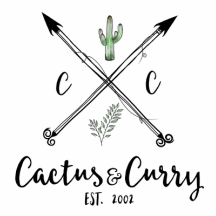 One-to-One - Cactus and Curry - Get your bloom on!
" We could all use a little help from our friends. " There are so many of us out there that feel alone in our problems and despair Those that think that there's no one out there that "get" what their going through. No one to turn to, in this busy crazy world of social media and chaos, that actually has the time or desire to get personal and lend a helping hand. Unfortunately, more times than not, these people remain in their current situation, just going through the motions of life and never really find a solution or the help that it takes to usher in the happiness, peace and purpose needed to live a meaningful Life Exquisite. It's my prayer that through my writing, you will be inspired! That my writing will enable you to look into the life of another (a life that isn't perfect) but nevertheless, resulting in a Life Exquisite, because of the transformation that took place in my life. The experiences collected through the trials, challenges and beautiful moments that God permitted to enter into my life, was the primary factors that developed my character, my renewal and the discovery of my purpose. It could be that in reading my blogs and testimony are inspiring you. You can relate to many topics and feel like you're not alone in some of the circumstance you are facing or have faced, but you just need a little more help... 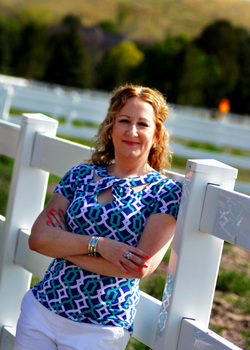 I'm here to offer Personal Mentoring Services! "PMS” is a powerful acronym for Personal Mentoring Services and signifies a “change of life.” While any “change” can be for better or for worse, I refer to "PMS” as positive change in your life, from who you were, to who you will become, what you do, each moment, each day, everyday, all the days of your life, with a little help from a friend, your very own personal mentor. ﻿﻿﻿I am committed to lead and guide you to begin living Life Exquisite as you were meant to live it... To BE, ENJOY and DO it all as you discover your purpose... To see you become radically transformed as you learn how to think positive, build self-esteem and discover your true inner-self. My vision is that you WILL experience success, a passionate career, meaningful relationships, health and well-being and peace of mind. AND to truly LOVE the life your were meant to have. And once you fully understand the power within yourself and you integrate that into your everyday life you will begin to know yourself in a way you never have before. You will learn how to honor your true-self. And the things of the past will melt away. You will have the Life Exquisite that you are made for! ﻿Contact me today for your FREE 20 minute initial session!